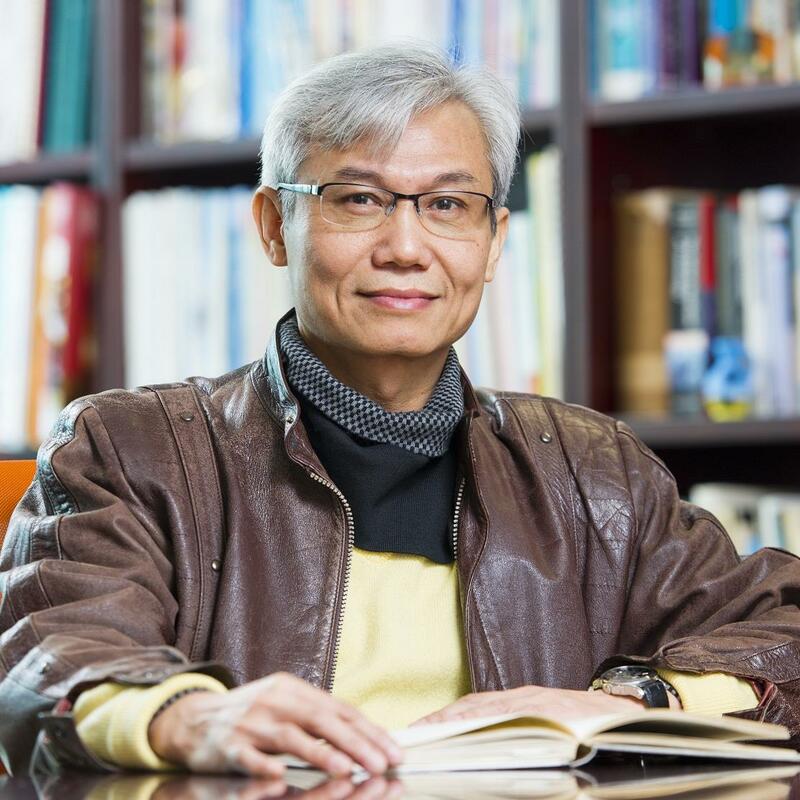 Professor T Wing Lo joined City Polytechnic of Hong Kong as a senior lecturer in 1990, and has been professor at the Department of Social and Behavioural Sciences (formerly Department of Applied Social Sciences), City University of Hong Kong since 2005. He obtained his MPhil (social work) from the University of Hull in 1984 and PhD (criminology) from the University of Cambridge in 1991. Being the winner of Applied Research Excellence Award (Certificate of Merit) 2002 and Teaching Excellence Award 2007, he has excelled in teaching, learning, and research. In recent years, he has developed and practised Action Therapy in individual and group counselling. Before joining the academia, Professor Lo had worked as an outreach social worker in Caritas-Hong Kong for 17 years, where he worked with youth gang members of Chinese triad societies on street corners. Being a renowned triad expert and scholar, he had been invited to give keynote speeches or talks in conferences and seminars organized by universities in the US, UK, South America, Europe, Asia and Australia. For instance, in 2010, he was invited to visit New York to address the United Nations delegates who attended the Palermo Convention Against Transnational Organized Crime; in 2012, he presented keynote speech at the Universidad del Rosario in Columbia; in 2015, he addressed officials of the US Department of Defence in Washington DC, in topics related to Asian organised crime and anti-corruption. He had also served as a Visiting Fellow in the Australian Research Council Centre of Excellence in Policing and Security based at Australian National University and Griffith University, and Honorary Senior Fellow in the Faculty of Social Sciences, University of Hull, England. He has published numerous journal papers, research monographs, conference proceedings, books and book chapters in criminology, social work and counselling. Over the last two decades, he has led twenty research projects; many of them were large-scale policy research or blueprint studies commissioned by the governments of Hong Kong, Macau, and Singapore. In particular, he has assisted in setting up outreach social work service for at-risk youth in Singapore and Macau, and advised government departments in Hong Kong, Macau and Singapore in issues and services related to youth justice and youth crime prevention. He is a member of the International Advisory Board of the British Journal of Criminology, editorial board member of Youth Justice, Asian Journal of Criminology, British Journal of Community Justice, China Journal of Social Work, British Journal of Education, Society and Behavioural Science, European Review of Organized Crime, and founding general editor of the Routledge Studies in Asian Behavioral Sciences, as well as founding associate editor of the International Journal of Criminology and Sociology. He was a member of the Humanities and Social Sciences Panel, Research Grant Council and a Hong Kong nominated member to Technical Committee 223 - Societal Security of ISO. Professor Lo has been active in community affairs. He was appointed by the Chief Executive of Hong Kong to serve in the ICAC Citizens Advisory Committee on Community Relations, Post-Release Supervision Board, and Task Force on Continuing Development and Employment-related Training for Youth. He was also an external academic assessor of the Hong Kong Police College, member of the Advisory Committee on Social Work Training and Manpower Planning, and the Action Committee Against Narcotics. He has/had also served as an advisor, board or committee member of a number of NGOs, such as Hong Kong Playground Association, Caritas, Hong Kong Federation of Youth Groups, and YMCA. 2007 “Teaching Excellence Award” City University of Hong Kong. 2005 “Outstanding Alumni Award” Hong Kong Polytechnic University. 2001 “Applied Research Excellence Award (Certificate of Merit)” City University of Hong Kong. 2005 - Now, Professor, City University of Hong Kong. 1993 - 2005, University Senior Lecturer/Associate Professor (Scale A), City University of Hong Kong. 1990 - 1993, Senior Lecturer, City Polytechnic of Hong Kong. 1972 - 1989, Social Worker (WW, SWA, SSWA, ASWO, SWO) in Youth and Community Services, Caritas- Hong Kong. A Study of Youth in Hong Kong: Challenges and Opportunities , HK Professionals & Senior Executives Association, Amount: HKD $840,000, Mar 2017 - Nov 2017, T.Wing Lo (PI). Research on Rehabilitation Programme provided by Drug Addiction Treatment Centre, Consultancy, Correctional Services Department, Amount: HKD $800,000, Sep 2016 - Sep 2018, T Wing Lo (PI), Jerf Yeung, Cherry Tam. The Perceptions of the Counselling Profession and Career Development in Hong Kong, Hong Kong Professional Counselling Association, Amount: HKD $412,248, Sep 2016 - Aug 2018, T.Wing Lo (PI). Triads, Social Capital and Organized Crime in Hong Kong , GRF, UGC, Amount: HKD $412,650, 1 Jan 2016 - 31 Dec 2017, T Wing Lo (PI). Research on the Development of a 10-Year Rehabilitation Programme Plan for Macau, Social Wrok Bureau, Macau Government, Amount: HKD $3,848,763, 1 Apr 2014 - 31 Mar 2016, T. W. Lo (PI), D. Yeung (Co-I), Z. Zhang (Co-I), E. Chan (Co-I) . The fact-finding ability of potential jurors and public attitudes towards the jury system in Hong Kong, GRF, UGC, Amount: HKD $575,400, 1 Jan 2014 - Now, T. W. Lo (PI) C. Hui (Co-I) J. Wu (Co-I) . Definition of Triad Society Membership: Issues and Problems, CLASS Research Grant, CityU, Amount: HKD $60,000, 2012 - 2013, T.W.Lo (PI). Action Counselling , Knowledge Transfer Earmarked Fund, UGC, Amount: HKD $240,000, 2011 - 2012, T.W. Lo (PI). Hong Kong Mock Jurors’ Perceptions of Court Evidence, Strategic Research Grant, CityU, Amount: HKD $180,000, 2011 - 2012, T.W.Lo (PI). Youth Problems & Youth Services in Macau SAR: A Blueprint for the New Millennium – A Follow-up Study, Social Work Bureau, Macau Government, Amount: HKD $594,000, 2011 - 2014, T.W. Lo (PI) Elaine Au (Co-I) Chris Cheng (Co-I) . A Review of Rehabilitation Centres of the Correctional Services Department, Correctional Services Dept, Hong Kong Government, Amount: HKD $500,000, 2010, T.W.Lo (PI) D Wong (Co-I) L. Zhong (Co-I) E. Chui (Co-I) . Consultancy on Professional and Personal Care for Probation Officers , Ministry of Community Development, Youth & Sports, Singapore, Amount: HKD $100,000, 2010, T.W. Lo (PI). Focus Group Study on Mandatory Provident Fund Youth Educational Programme, Mandatory Provident Fund Schemes Authority, Hong Kong, Amount: HKD $280,000, 2010 - 2011, T.W.Lo (PI) Elaine Au (Co-I) . Volunteer Motives, Role Identities and Sustained Volunteerism: An Intergenerational Comparison, GRF, UGC, Amount: HKD $466,092, 2010 - 2012, T.W.Lo (PI) Elaine Au (Co-I) T Rochelle (Co-I) J. Cheung (Co-I). A Study of Youth Needs in Tseung Kwan O, Hong Kong Federation of Youth Groups, Amount: HKD $100,000, 2009, T.W.Lo (PI) Elaine Au (Co-PI). Review of Juvenile Homes in Singapore , Ministry of Community Development, Youth & Sports, Singapore, Amount: HKD $250,000, 2008, T.W. Lo (PI). Review of the System of Education and Supervision of Young Offenders in Macau, Legal Affairs Bureau, Macau Government, Amount: HKD $800,000, 2008 - 2010, T.W. Lo (PI) D. Wong (Co-PI). Volunteer Motives, Role Identities and Sustained Volunteerism, Strategic Research Grant+, CityU, Amount: HKD $179,520, 2008 - 2009, T.W. Lo (PI) Elaine Au (Co-I) T. Rochelle (Co-I) J. Wu (Co-I). OBTL Grant for Winner of Teaching Excellence Award , CityU, Amount: HKD $150,000, 2007 - 2008, T.W. Lo (PI). Research Study on Performance Measurements of Correctional Services Department’s Programmes and Services, Correctional Services Department, Hong Kong Government, Amount: HKD $400,000, 2007, T.W. Lo (PI) L Zhong (Co-I) T. Rochelle (Co-I). Mid-life and Cross-Generational Research, CityU, Amount: HKD $1,500,000, 2006 - 2009, S.H.Ng (PI) T.W. Lo (Co-PI). Residential Care Services for Children and Youth in Macau: Policies and Strategies , Social Work Bureau, Macau Government, Amount: HKD $360,000, 2006 - 2007, T.W. Lo (PI) Elaine Au (Co-I). Study on Violence at Work in Hong Kong, Occupational Safety & Health Council, Hong Kong, Amount: HKD $1,200,000, 2006 - 2008, T.W. Lo (PI). Supportive Service for Police-cautioned Youth in Macau , Social Work Bureau, Macau Government, Amount: HKD $800,000, 2006 - 2008, T.W. Lo (PI). A Study of Task-Centred Mutual-Aid Groups, Direct Allocation Grant, CityU, Amount: HKD $99,988, 2002 - 2003, T.W. Lo (PI). Research on the Measures Alternative to Prosecution for Handling Unruly Children and Young Persons in Overseas Countries , Security Bureau, Hogn Kong Government, Amount: HKD $601,000, 2002 - 2004, T.W. Lo (PI) D. Wong (Co-I) G. Maxwell (Co-I). The Risk and Protective Factors Associated with Youth Smoking in Hong Kong, Committee on Youth Smoking Prevention, Hong Kong, Amount: HKD $320,000, 2001 - 2002, T.W.Lo (PI) C. Cheng (Co-I) D. Wong (Co-I) S. Leung (Co-I) . Youth Problems & Youth Services in Macau SAR: A Blueprint for the New Millennium , Social Work Bureau, Macau Government, Amount: HKD $500,000, 2001 - 2003, T.W.Lo (PI) E. Au (Co-I) C. Cheng (Co-I) D. Wong (Co-I) . Rational Choice Theory and the Prevention of Juvenile Theft , Strategic Research Grant, CityU , Amount: HKD $180,000, 2000 - 2002, T.W. Lo (PI). Youth Pre-Employment Training Programme , Labour Department, Hong Kong Government, Amount: HKD $250,000, 2000, T.W.Lo (PI) D. Wong (Co-I). Youth Studies Net , FHS Strategic Development Grant , CityU , Amount: HKD $400,000, 2000 - Now, T.W. Lo (PI). Research on the Operation of Community Service Orders , Social Welfare Department, Hong Kong Government, Amount: HKD $185,000, 1998 - 2000, T.W.Lo (PI) R. Harris (Co-I). Evaluation of Children and Youth Services in Hong Kong , Strategic Research Grant , CityU, Amount: HKD $321,429, 1996 - 1998, T.W. Lo (PI) W.T. Chan (Co-I) D. Wong (Co-I) S. Ma (Co-I). Research on the Effectiveness of Rehabilitation Programmes for Young Offenders , Fight Crime Committee, Hong Kong Government, Amount: HKD $799,670, 1996 - 1997, T.W. Lo (PI) D.Wong (Co-I) W.T. Chan (Co-I) S.K.Leung (Co-I) . Service Evaluation on New Services Delivery Model of Children and Youth Centre Services , Social Welfare Department, Hong Kong Government, Amount: HKD $399,800, 1995 - 1997, T.W.Lo (PI) D. Wong (Co-I) W.T. Chan (Co-I) S. Ma (Co-I). A Study on Youth Problems in Southern District , Southern District Board, Amount: HKD $145,000, 1994, T.W. Lo (PI) W.L. Lee (Co-I). The Structure of the Supply System of Drug Abuse in Hong Kong , UK/HK Joint Research Scheme & CityU Strategic Grant, Amount: HKD $180,000, 1994 - 1995, T.W. Lo (PI) P. Bean (Co-PI)+. A Study of the Structure and Subculture of Juvenile Gangs in Hong Kong , Strategic Research Grant, CityU, Amount: HKD $259,108, 1993 - 1995, T.W. Lo (PI) D. Wong (Co-I) W.L. Lee (Co-I) . Chan, G. & Lo, T.W. (2016). Family relationships and the self-esteem of hidden youth: A power dynamics perspective. Journal of Family Issues. 37(9). 1244 - 1266. Chan, O. , Lo, T.W. & Zhong, L. (2016). Identifying the Self-Anticipated Reoffending Risk Factors of Incarcerated Male Repeat Offenders in Hong Kong. The Prison Journal. 96(5). 731 - 751. Lo, T.W. & Li, L. (2016). Pioneer of moral education: Independent Commission Against Corruption. Issues on Juvenile Crimes and Delinquency. 202. 22 - 31 – in Chinese. Cheung, C.K. , Lo, T.W. & Liu, S.C. (2016). Sustaining social trust and volunteer role identity reciprocally over time in pre-adult, adult, and older volunteers. Journal of Social Service Research. 42(1). 70 - 83. Chan, G. & Lo, T.W. (2016). The effect of negative experiences on delinquent behavior of youth in a social withdrawal situation. Journal of Adolescence. 50. 69 - 80. Hui, C. & Lo, T.W. (2016). The feasibility of expanding the jury pool in Hong Kong: A comparison of legal decision making between youth and adult mock jurors. Journal of Contemporary Criminal Justice. 32(3). 225 - 242. Jiang, G. & Lo, T.W. (2016). University students’ views on political influences and the status of law in post-reform China: A moderation and mediation analysis. International Journal of Offender Therapy and Comparative Criminology. 60(9). 1097 - 1116. Chan, O. , Lo, T.W. , Chui, E. & Zhong, L. (2015). Criminal recidivism of incarcerated male nonviolent offenders in Hong Kong. International Journal of Offender Therapy and Comparative Criminology. 59(2). 121 - 142. Hui, C.Y. & Lo, T.W. (2015). One country, two cultures: Are Hong Kong mock jurors “mainlandized” by the predominant Chinese criminal justice concept of confession?. International Journal of Offender Therapy and Comparative Criminology. 59. 1104 - 1124. Cheung, C.K. , Lo, T.W. & Liu, S.C. (2015). Relationships Between Volunteerism and Social Responsibility in Young Volunteers. VOLUNTAS: International Journal of Voluntary and Nonprofit Organizations. 26. 872 - 889. Chan, G. & Lo, T.W. (2014). Do friendship and intimacy in virtual communications exist? An investigation of online friendship and intimacy in the context of hidden youth in Hong Kong. Revista de Cercetare si Interventie Sociala. 47. 117 - 136. Chan, G. & Lo, T.W. (2014). Hidden youth services: What Hong Kong can learn from Japan. Children and Youth Services Review. 42. 118 - 126. Chan, G. & Lo, T.W. (2014). Negative emotion and deviant behaviour of youth in social withdrawal situation in Hong Kong. Issues on Juvenile Crimes and Delinquency. 192. 43 - 51 - Chinese. Chan, G. & Lo, T.W. (2014). Quality of life of the hidden youth in Hong Kong. Applied Research in Quality of Life. 9. 951 - 969. Kwok, S.I. & Lo, T.W. (2013). Anti-triad legislations in Hong Kong: Issues, problems and development. Trends in Organized Crime. 16. 74 - 94. Lo, T.W. & Shen, Z. (2013). Organization, activities and control in Hong Kong triad youth gangs. Issues on Juvenile Crimes and Delinquency. 185. 25 - 35. – in Chinese. Cheng, C. , Kwok, S.I. & Lo, T.W. (2013). Risk factors and the mediating effects of triad societies on deviant behaviors of young people. Issues on Juvenile Crimes and Delinquency. 187. 22 - 31. – in Chinese. Jiang, G. , Lo, T.W. & Li, C. (2013). Youths’ views on corruption control in China: Politics and social censure. International Journal of Offender Therapy and Comparative Criminology. 57(12). 1498 - 1521. Lo, T.W. & Ho, W.Y. (2012). Action therapy: Application of psychodrama in teaching counselling in Hong Kong tertiary education. Journal of Drama and Theatre Education in Asia. 3(1). 93 - 110. Jiang, G. , Lo, T.W. & Garris, C.P. (2012). Formation and trend of guanxi practice and guanxi phenomenon. International Journal of Criminology and Sociology. 1. 207 - 220. Li, J.C.M. , Lo, T.W. , Cheng, C. & Wu, J. (2012). Measuring the subjective perception of risks and rewards of juvenile thieves in Hong Kong. Psychology, Crime & Law. 18(8). 689 - 701. Cheung, J. , Lo, T.W. & Au, E. (2012). Measuring volunteering empowerment and competence in Shanghai. Administration in Social Work. 36(2). 149 - 174. Lo, T.W. (2012). Resistance to the mainlandization of criminal justice practices: A barrier to the development of restorative justice in Hong Kong. International Journal of Offender Therapy and Comparative Criminology. 56(4). 627 - 645. Lo, T.W. (2012). Triadization of youth gangs in Hong Kong. British Journal of Criminology. 52 (3). 556 - 576. Lo, T.W. , Chappell, D. , Kwok, S.I. & Wu, J. (2012). Workplace violence in Hong Kong, China: Nature, impact, and preparedness. International Journal of Offender Therapy and Comparative Criminology. 56(6). 955 - 975. Lo, T.W. , Wong, D. , Cheng, C. , Rochelle, T. & Kwok, S.I. (2011). Self-esteem, self-efficacy and deviant behaviour of young people in Hong Kong. . Advances in Applied Sociology. 1. 48 - 55. Wong, D.S.W. & Lo, T.W. (2011). The recent development of restorative social work practices in Hong Kong. International Social Work. 54. 701 - 716. Lo, T.W. (2010). Beyond social capital: Triad organized crime in Hong Kong and China. British Journal of Criminology. 50. 851 - 872. Lo, T.W. & Wang, X. (2010). Policing and the mentally ill in China: Challenges and prospects. Police Practice and Research. 11. 342 - 354. Wu, J. , Lo, T.W. & Liu, E.S. (2009). Psychometric properties of the volunteer functions inventory with Chinese students. Journal of Community Psychology. 37. 769 - 780. Lo, T.W. & Ngan, P. (2009). Restricting loans of money to Hong Kong civil servants: Social censure or violation of human rights?. Law, Crime and Social Change. 52. 385 - 403. Wong, S.W. , Lok, D. , Lo, T.W. & Ma, S. (2008). School Bullying among Hong Kong Chinese Primary Schoolchildren. Youth and Society. 40. 35 - 54. Li, C.M.J. & Lo, T.W. (2007). Youth gang violence and neutralization techniques. Journal of Youth Studies. 9(2). 142 - 150.- in Chinese. Lo, T.W. , Wong, D.S.W. & Maxwell, G. (2006). Community support and diversionary measures for juvenile offenders in Hong Kong: Old legacy, New age. Asian Journal of Criminology. 1(1). 9 - 20. Lo, T.W. , Wong, D.S.W. & Maxwell, G. (2006). Diversion from youth courts in five Asia Pacific jurisdictions: Welfare or restorative solutions. International Journal of Offender Therapy and Comparative Criminology. 50(1). 5 - 20. Lo, T.W. & Jiang, G. (2006). Inequality, crime and the floating population in China. Asian Journal of Criminology. 1(2). 103 - 118. Lo, T.W. & Cheng, H.K. (2005). An analysis of juvenile delinquency in Macau. Journal of Jiangsu Police Officer College. 102(5). 18 - 26. – in Chinese. Lo, T.W. , Wong, S.W. & Ma, S. (2005). Supportive services for immigrant youths in Hong Kong: Strategies and outcomes. International Social Work. 48(4). 441 - 453. Lo, T.W. (2005). Task-centred Groupwork: Reflections on Practice. International Social Work. 48(4). 455 - 465. Lo, T.W. & Harris, R. (2004). Community service orders in Hong Kong, England and Wales: Twins or cousins. International Journal of Offender Therapy and Comparative Criminology. 48(3). 373 - 388. Cheng, C. , Lo, T.W. & Wong, S.W. (2004). Deviant behaviour of adolescents and their psychological correlates in terms of the self and social influence. Journal of Youth Studies. 7(2). 169 - 183. – in Chinese. Lo, T.W. (2003). Community service orders: Debates and repositioning. Hong Kong Journal of Social Work. 37(2). 207 - 219. – in Chinese. Harris, R. & Lo, T.W. (2002). Community service: Its use in criminal justice. International Journal of Offender Therapy and Comparative Criminology. 46(4). 427 - 444. Wong, S.W. & Lo, T.W. (2002). School bullying in secondary schools: Teachers’ perceptions and tackling strategies. Educational Research Journal. 17(2). 253 - 272. – in Chinese. Lo, T.W. & Yu, R. (2000). Curbing draconian powers: The effects on Hong Kong’s graft-fighter. International Journal of Human Rights. 4(1). 54 - 73. Lo, T.W. (1999). Raising the age of criminal responsibility: Protection or harm?. Hong Kong Journal of Social Work. 33(1). 87 - 96. – in Chinese. Lo, T.W. (1999). The political-criminal nexus: The Hong Kong experience. Trends in Organized Crime. 4(3). 60 - 80. Lo, T.W. (1998). Juvenile justice system in Hong Kong. Journal of Youth Studies. 1(2). 115 - 126.– in Chinese. Lo, T.W. (1998). Pioneer of moral education: Independent Commission Against Corruption. Trends in Organized Crime. 4(2). 19 - 30. Li, W.L. , Lo, T.W. & Wong, S.W. (1996). Intervention in the decision-making of youth gangs. Groupwork. 9(3). 292 - 302. Lo, T.W. (1993). Neutralization of group control in youth gangs. Groupwork. 6(1). 51 - 63. Lo, T.W. (1993). The politics of social censure: Corruption and bourgeois liberation in communist China. Social and Legal Studies. 2(2). 195 - 209. Lo, T.W. (1992). ). Groupwork with youth gangs in Hong Kong. Groupwork. 5(1). 58 - 71. Lo, T.W. (1986). Community work approach in outreach social work: The soft drug example. Hong Kong Journal of Social Work. 21(2). 12 - 20. Chui, W.H. & Lo, T Wing (Eds.). (2017). Understanding criminal justice in Hong Kong. (2nd ed.). Routledge. Chan, G. & Lo, T.W. (2010). Hikikomori and the Internet — Empowerment and disempowerment. Hong Kong: City University of Hong Kong Press. – in Chinese. Lo, T.W. & Wong, D.S.W. (2009). Restorative justice in Hong Kong: Its application, development and constraints in Juvenile Justice. Hong Kong: City University of Hong Kong Press. – in Chinese. Liu, E.S. , Holosko, M.J. & Lo, T.W. (Eds.). (2009). Youth empowerment and volunteerism: Principles, policies and practices. Hong Kong: City University of Hong Kong Press. Chui, W.H. & Lo, T.W. (Eds.). (2008). Understanding criminal justice in Hong Kong. London: Willan, Routledge. Lo, T.W. , Wong, S.W. & Maxwell, G. (Eds.). (2005). Alternatives to prosecution: Rehabilitative and restorative models of youth justice. Singapore & London: Marshall Cavendish Academic. Lo, T.W. , Choi, A. & Su, S. (2005). Explaining and fighting youth crime in Hong Kong, Singapore and Shanghai. Hong Kong: City University of Hong Kong Press. - in Chinese. Lo, T.W. , Wong, S.W. , Cheng, H.K. & Au, E. (2005). Research on youth problems and the development of youth service blueprint for Macau. Macau: Social Work Bureau, Macau SAR Government – in Chinese. Choi, A. & Lo, T.W. (2004). Fighting youth crime: A comparative study of two little dragons in Asia (2nd Ed.). Singapore & London: Marshall Cavendish Academic. Lo, T.W. & Au, E. (Eds.). (2004). Youth empowerment: International experiences. Hong Kong: Youth Studies Net, City University of Hong Kong. (conference proceedings). Lo, T.W. & Wong, D. (Eds.). (2003). Child protection and measures alternative to prosecution: Experiences of six overseas countries. Hong Kong: Youth Studies Net, City University of Hong Kong. (conference proceedings). Choi, A. & Lo, T.W. (2002). Fighting youth crime: Success and failure of two little dragons. Singapore: Times Academic Press. Lo, T.W. & Cheng, J. (Eds.). (1996). Social welfare development in China: Constraints and challenges. Chicago: Imprint Publications. Lo, T. W. (1993). Corruption and politics in Hong Kong and China. Buckingham & Philadelphia: Open University Press. Lo, T.W. (1986). Outreach social work in focus. Hong Kong: Caritas. Lo, T.W. (1984). Gang dynamics. Hong Kong: Caritas. Hui, C. & Lo, T Wing. (2017). Corrections in Hong Kong. K.R. Kerley (Ed.). The encyclopedia of corrections. New Jersey. John Wiley & Sons. Lo, T Wing. (2017). Hot air balloon. Scott Simon Fehr (Ed. ), 101 interventions in group therapy, 2nd Edition (chap. 45). New York. Routledge. Lo, T Wing. (2017). The future of Hong Kong’s criminal justice. W.H. Chui & T. W. Lo (Eds.) Understanding criminal justice in Hong Kong. (pp. 358 - 370). London. Routledge. Hui, C. & Lo, T Wing. (2017). Anti-corruption. W.H. Chui & T.W. Lo (Eds.). Understanding criminal justice in Hong Kong. (pp. 311 - 335). London. Routledge. Lo, T Wing. (2017). Prison and correctional services. W.H. Chui & T.W. Lo (Eds.). Understanding criminal justice in Hong Kong. (pp. 358 - 370). London. Routledge. Lo, T.W. & Kwok, S.I. (2014). Chinese triads and tongs. G. Bruinsma & D. Weisburd (Eds.) Encyclopedia of criminology and criminal justice. (pp. 5332 - 5343). New York. Springer. Kwok, S.I. & Lo, T.W. (2014). Crime and its control in Hong Kong. L. Cao, I. Sun, & B. Hebenton (Eds. ), The Routledge handbook of Chinese criminology. (pp. 284 - 294). New York. Routledge. Kwok, S.I. , Lo, T.W. & Lee, P. (2013). Policing and mentally ill persons in Hong Kong. D. Chappell (Ed. ), Policing and the mentally ill: International Perspectives. (pp. 309 - 325). New York. Routledge. Lo, T.W. & Kwok, S.I. (2013). Chinese triad society. Richard Wright (Ed.) Oxford bibliographies in criminology. New York. Oxford University Press. Liu, E. , Wu, J. , Lo, T.W. & Hui, A. (2012). Implementing volunteer program to university students in Hong Kong – Enhancing volunteer participation through service matching and organizational support. Betty C. Eng (Ed. ), A Chinese perspective in teaching and learning. (pp. 165 - 178). New York. Routledge. Lo, T.W. (2012). Teaching group counselling in Hong Kong: The experience of a teaching excellence award winner. Betty C. Eng (Ed. ), A Chinese perspective in teaching and learning. (pp. 77 - 91). New York. Routledge. Lo, T.W. & Wang, X. (2012). Policing and the mentally ill in China: Challenges and prospects. Chappell, D. (Ed. ), Police responses to people with mental illnesses: Global challenges. (pp. 54 - 65). London. Routledge. Lo, T.W. & Kwok, S.I. (2012). Traditional organized crime in the modern world: How triad societies respond to socioeconomic change. D. Siegel & H. van de Bunt (Eds. ), Traditional organized crime in the modern world: Responses to socioeconomic change. (pp. 67 - 89). New York. Springer. Kwok, S.I. , Li, K.W. , Lo, T.W. & Cheng, C. (2011). Triad influences on the delinquent behavior of young people in Macau. C.M. Cheng (Ed. ), Youth behaviour and risk factors: A collection of essays. (pp. 40 - 53). Macau. Macau Juvenile Delinquency Research Society. Wu, J. , Au, E. , Lo, T.W. & Rochelle, T. (2011). Motives behind volunteerism: A study of Hong Kong university students and influence of gender. J.A. Jaworski (Ed. ), Advances in sociological research. (pp. 199 - 209). New York. Nova. Lo, T.W. (2010). Dissemination of task-centered practice in Hong Kong. Anne E. Fortune, Philip McCallion & Katharine Briar-Lawson (Eds.) Advancing practice research in social work for the 21st century. (pp. 240 - 244). New York. Columbia University Press. Rochelle, T. , Lo, T.W. & Ng, S.H. (2010). The relationship between gangs and social capital in Hong Kong. S.H.Ng, S.Cheung & B.Prakash (Eds. ), Social capital in Hong Kong: Connectivities and social enterprise. (pp. 181 - 198). Hong Kong. City University of Hong Kong Press. Lo, T.W. & Cheng, H.K. (2009). An analysis of current situation of juvenile deviance and delinquency in Macau. The selection of studies in humanities and social sciences of Macau. (pp. 357 - 373). Beijing, China. Social Sciences Academic Press. – in Chinese. Lo, T.W. , Su, S. & Jiang, G. (2009). Youth empowerment and self-actualization: Experiences in Shanghai, China. Youth empowerment and volunteerism: Principles, policies and practices. (pp. 251 - 273). Hong Kong. City University of Hong Kong Press. Lo, T.W. (2008). The gambling chair. Scott Simon Fehr (Ed.) The 101 group intervention. (pp. 39 - 44). New York. Routledge. Lo, T.W. (2008). An effective precipice toward recovery. Scott Simon Fehr (Ed.) The 101 group intervention. (pp. 425 - 430). New York. Routledge. Lo, T.W. (2008). Custodial sentences and correctional services. W.H. Chui & T.W. Lo (Eds.). Understanding criminal justice in Hong Kong. (pp. 224 - 247). London. Willan. Chui, W.H. & Lo, T.W. (2008). Introduction and overview. W.H.Chui & T.W. Lo (Eds.). Criminal justice in Hong Kong. (pp. 1 - 13). London. Willan. Jiang, G. & Lo, T.W. (2007). Interpreting inequality and crime in China: A social and cultural capital perspective. J.Y.S. Cheng (Ed.) Challenges and policy programmes of China’s new leadership. (pp. 597 - 627). Hong Kong. City University of Hong Kong Press. Cheng, C. & Lo, T.W. (2005). Current situations and analysis of deviant and offending behaviour of Macau Youth. Continuing development and juvenile crime. Macau. Macau Society on Juvenile Delinquency Research. – in Chinese. Wong, S.W. , Lok, P.P. , Lo, T.W. & Ma, K. (2005). School bullying in Hong Kong primary schools: Problems and strategies. K.M.Yao, J. Fang, Y.W.L.Tsui & T.Y.Law (Eds.) From bullying and violence to mutual concern and love. (pp. 7 - 21). Hong Kong. Educational Publishers. - in Chinese. Lo, T.W. , Maxwell, G.M. & Wong, D.S.W. (2005). Models of alternatives to prosecution in youth justice. Lo, T.W., Wong, S.W. and Maxwell, G. (eds. ), Alternatives to prosecution: Rehabilitative and restorative models of youth justice. (pp. 279 - 297). Singapore. Marshall Cavendish. Maxwell, G.M. , Lo, T.W. & Wong, D.S.W. (2005). Introduction: The changing themes in youth justice. Lo, T.W., Wong, S.W. and Maxwell, G. (eds. ), Alternatives to prosecution: Rehabilitative and restorative models of youth justice. (pp. 1 - 19). Singapore. Marshall Cavendish. Lo, T.W. (2005). Services for young people and juvenile offenders in Hong Kong. T.W. Lo, S.W. Wong & G. Maxwell (Eds.) Alternatives to prosecution: Rehabilitative and restorative models of youth justice. (pp. 257 - 278). Singapore & London. Marshall Cavendish Academic. Lo, T.W. (2005). The proposed juvenile justice reform in Hong Kong. X. Di, P. Wang & C.K.Li (Eds.) Studies in international criminal justice reform. Nanjing: Research Centre on Crime Prevention and Control. (pp. 293 - 299). Nanjing. University of Nanjing. - in Chinese. Lo, T.W. (2004). Anti-corruption legislation and strategies in Hong Kong. C.W. Liu (Ed. ), Crime control and economic security. (pp. 7 - 26). Nanjing. Nanjing People’s Procuratorate. – in Chinese. Lin, A. & Lo, T.W. (2004). Discursive construction of knowledge and narratives about gangster youth: A critical discourse analysis of social work research interviews. S. H. Ng, C. N. Candlin & C. Y. Chiu (Eds. ), Language and social psychology. (pp. 425 - 447). ong Kong. City University of Hong Kong Press. Lo, T.W. , Wong, D. , Cheng, C. & Au, E. (2004). Prevention of youth offending in Macau: A study of youth problems and youth service blueprint. Y.Y. Chan (Ed. ), Judicial protection of youth offenders. (pp. 226 - 230). Macau. Macau Society on Juvenile Delinquency Research. – in Chinese. Lo, T.W. (2003). Measures alternative to prosecution of young offenders: Reflections from overseas experiences. Caritas Social Work Division (Ed. ), Solid practice III. (pp. 138 - 149). Hong Kong. Cosmos Books. – in Chinese. Lo, T.W. (2003). Minimizing crime and corruption in Hong Kong. R. Godson (Ed. ), Menace to society: Political-criminal collaboration around the world. (pp. 231 - 256). London. Transaction Publishers. Lo, T.W. (2002). Analyzing youth crime: The rational choice perspective. W.L. Lee (Ed. ), Youth problems in Hong Kong. (pp. 81 - 93). Hong Kong. Hong Kong University Press. – in Chinese. Lo, T.W. (2001). Anti-corruption strategies and housing scandals in Hong Kong. A.C. Jr. Pedro (Ed. ), Combating corruption in East Asia. (pp. 17 - 40). Manila. De La Salle University Press. Lo, T.W. (2001). Development of community service orders in Hong Kong. Y.Y. Chan (Ed. ), Juvenile justice system. (pp. 207 - 219). Macau. Macau Society on Juvenile Delinquency Research. – in Chinese. Lo, T.W. (2000). An overview of the criminal justice system in Hong Kong. O.N.I. Ebbe (Ed. ), Comparative and international criminal justice systems: Policing, judiciary, and corrections (2nd ed.). (pp. 113 - 127). Boston. Butterworth-Heinemann. Lo, T.W. (1999). The trends of youth crime in Hong Kong. R. Wong & P. Chan (Eds. ), Youth problem in Beijing and Hong Kong: A collection of essays. (pp. 157 - 168). Hong Kong. Hong Kong Federation of Youth Groups. – in Chinese. Lo, T.W. (1998). An examination of recent research on the causes of youth crime in Hong Kong. Hong Kong Federation of Youth Groups (Ed. ), Hong Kong youth research forum. (pp. 13 - 22). Hong Kong. Hong Kong Federation of Youth Groups. – in Chinese. Lo, T.W. (1998). Values and models of NGO’s community support service scheme. Phoenix: Essays on community support service scheme. (pp. 10 - 19). Hong Kong. Methodist Books. – in Chinese. Lo, T.W. (1997). Integrated youth service. A. Kwan & W.C. Chan (Eds. ), Integrated social services: experience and prospect. (pp. 117 - 187). Hong Kong. Aberdeen Kaifong Association Social Service. – in Chinese. Lo, T.W. (1997). The basis for opening cases: A gang work perspective. P.C. Chan, N.Y. Kwok, K.F.Choi & W.K.Tsang (Eds. ), The practice of outreach social work. (pp. 119 - 123). Hong Kong. Writers’ Association. – in Chinese. Lo, T.W. (1997). From outreach social work to integrated social service. P.C. Chan, N.Y. Kwok, K.F. Choi & W.K. Tsang (Eds. ), The practice of outreach social work in Hong Kong. (pp. 7 - 12). Hong Kong. Writers’ Association. – in Chinese. Lo, T.W. (1996). Theories of youth crime: An introduction. K.W. Ho, M.C. Lee & T.K. Mok (Eds. ), New explorations in youth work. (pp. 31 - 46). Hong Kong. China Books Company. – in Chinese. Lo, T.W. & Harris, R. (1996). The crisis of welfare development in China. T. W. Lo & J.Y.S.Cheng (Eds. ), Social welfare development in China: Constraints and challenges. (pp. 219 - 230). Chicago. Imprint Publications. Yip, T. & Lo, T.W. (1996). Popular culture: Its impact on young people in Guangdong. T.W. Lo & J.Y.S.Cheng (Eds. ), Social welfare development in China: Constraints and challenges. (pp. 145 - 161). Chicago. Imprint Publications. Lo, T.W. (1995). Anti-corruption. Cheung, S.Y.L. & Sze, S.M.H. (Eds. ), The other Hong Kong report 1995. (pp. 87 - 101). Hong Kong. Chinese University Press. Lo, T.W. (1994). The Independent Commission Against Corruption. M. Gaylord & H. Traver (Eds. ), Introduction to the Hong Kong criminal justice system. (pp. 63 - 77). Hong Kong. Hong Kong University Press. Lo, T.W. (1992). Law and order. J.Y.S. Cheng & P.C.K. Kwong (Eds. ), The other Hong Kong report 1992. (pp. 127 - 148). Hong Kong. Chinese University Press. Lo, T.W. (1991). The promotion of young people's legal rights in Hong Kong. Y.C. Lee & K.H. Lam (Eds. ), Youth and law Vol.2. (pp. 55 - 62). Hong Kong. Hong Kong Federation of Youth Groups. – in Chinese. Lo, T.W. (1991). Law and order. Y.W. Sung & M.K. Lee (Eds. ), The other Hong Kong report 1991. (pp. 117 - 134). Hong Kong. Chinese University Press. 2013 - 2015, Member, Advisory Committee on Social Work Training and Manpower Planning, Hong Kong Government. 2010 - 2015, Member, Humanities and Social Sciences Panel, University Grants Committee, . 2006 - 2008, Member, Task Force on Continuing Development and Employment-related Training, Hong Kong Government. 2005 - 2006, Member, Research and Expert Committee, Task Force on Continuing Development and Employment-related Training for Youth, Education and Manpower Bureau. 1999 - 2005, Member, Post-Release Supervision Board, Hong Kong Government. 1997 - 2002, Member, Committee on Treatment and Rehabilitation, Action Committee Against Narcotics. 1994 - 2000, Member, Citizens Advisory Committee on Community Relations, ICAC. 2015 - Now, Editorial Board Member, British Journal of Education, Society & Behavioral Science. 2014 - Now, Editorial Board Member, China Journal of Social Work. 2014 - Now, Founding General Editor, Routledge Studies in Asian Behavioral Sciences. 2013 - Now, Editorial Board Member , European Review of Organized Crime. 2013 - Now, Founder and Editor-in-Chief, Social Work and Counselling Series, City University of Hong Kong Press. 2013 - Now, Member, International Advisory Board, British Journal of Criminology. 2012 - Now, Founding Associate Editor, International Journal of Criminology and Sociology. 2011 - Now, Associate Partner, Doctorate in Cultural and Global Criminology, University of Utrecht, University of Kent, University of Budapest & University of Hamburg . 2011 - Now, Member, Editorial Board, Youth Justice: An International Journal. 2009 - Now, Member, Editorial Board, British Journal of Community Justice. 2009 - Now, Member, Editorial Board, Asian Journal of Criminology . 2006 - 2015, Hong Kong nominated member, TC 223 Societal Security, ISO. 2005 - Now, Founder and Editor-in-Chief, Caring for Youth Series, City University of Hong Kong Press. 2005 - 2007, Member, International Board of Advisors, Marshall Cavendish Academic. 2004 - 2010, Member, Editorial Board, Crime Media Culture: An International Journal . 2002 - Now, Member, Social Work Committee, Caritas-Hong Kong . 1993 - Now, Member, Executive Committee, Hong Kong Playground Association. 1993 - 2010, Member, Research Committee, Youth Service Committee, Hong Kong Federation of Youth Groups. 1 May 2013 - Now, Head, Department of Social and Behavioural Sciences. 2013 - Now, Member, Senate, City University of Hong Kong. 2011 - 2012, Programme Leader, BSSc Criminology, Department of Applied Social Studies. 2009 - 2013, Member, Graduate Studies Committee, College of Liberal Arts & Social Sciences. 2009 - 2013, Research Degree Coordinator, Department of Applied Social Studies. 2007 - 2013, Member, Research Committee, College of Liberal Arts & Social Sciences. 2000 - 2011, Programme Leader, BA Social Work, Department of Applied Social Studies. 2015 - Now, PhD candidate, Gabriel Li "Spiritual Rehabilitation of Triad Society Members". 2015 - Now, PhD candidate, Xiaoye Zhang "Prison Theatre". 2014 - Now, PhD candidate, Cora Hui "Anti-Corruption in Hong Kong". 2013 - 2016, PhD, Sharon Ingrid Kwok "Social Capital of Triad Societies in Hong Kong". 2012 - Now, PhD candidate, Chris Kong "Open up the Vault of Black Box: An Evaluative Study of Organized Sport Activities for Social Vulnerable Youth: Implementation, Processes and Effectiveness". 2011 - 2016, PhD, Dan Garrett, "China’s Securitization of Hong Kong, Hongkongers and ‘One Country, Two Systems’: Enemy Images, Moral Panic and Political Warfare" . 2011 - 2015, PhD, Wing Yee Ho "Mirror Effects: The Experience of Using Psychodrama in the Teaching and Learning of Counselling. 2010 - 2013, PhD, Diego Busiol "Is Psychoanalysis Missing from Counselling in Hong Kong?" . 2010 - Now, PhD candidate (part-time), Eric So "Analyzing the Dark Side of Social Capital within the Drug Dealing Network of Young Drug Users in Hong Kong". 2010 - 2014, PhD, LiLi "The Problem of Corruption in Post-1997 Hong Kong: A Social Censure Perspective" . 2010 - 2014, PhD, Zhanguo Liu "Crimes in a Village-in-City: The Case Study of Tang Village in Shenzhen". 2009 - 2013, PhD, Hong Yee Chan "Hidden Youth in Hong Kong: A Social Censure Perspective". 2004 - 2008, PhD, Guoping Jiang "Status of Law and Corruption Control on Post-Reform China". 2000 - 2007, PhD, Jessica Li "The Decision Making of Juvenile Thieves in Hong Kong". 1995 - 1998, MPhil, Kam-fai Yu "The Structure and Subculture of Triad Societies in Hong Kong". 1995 - 1999, MPhil, Louis Wing-Cheung Mak "Subcultural Influences and Correction in a Detention Centre". 1995 - 1999, MPhil, Sheryln Chia "Working with Youth: A Holistic Approach". 1993 - 1997, MPhil, Keung Lam "The Differences between the Formation and Goal-oriented Interaction Stages Among Social Youth Groups in Hong Kong: An Exploratory Study". 2013 - Now, Bachelor of Criminology, Organized Crime. 2005 - 2014, Master of Counselling, Advanced Counselling Skills Laboratory. 2005 - Now, Master of Counselling, Group Counselling and Therapy. 1993 - Now, PhD & MPhil, Group Counselling Research. 1993 - Now, PhD & MPhil, Triad and Crime Research. 1993 - Now, PhD & MPhil, Youth and Delinquency Research. 1990 - Now, Bachelor of Social Work, Group Counselling. 1990 - Now, Bachelor of Social Work, Skills Laboratory. 29 Dec 2016 - 31 Dec 2016, Involvement of Chinese Triads in Hong Kong’s Occupy Central: Extra-legal Service Providers or Hegemonic Security Actors? Keynote speech at 6th International Conference on History & Society Development, Tokyo. 15 Nov 2016 - 16 Nov 2016, Youth Trends in Hong Kong. Invited plenary speech at the International Conference on Children and Youth Work Practice 2016, Singapore. 2 Nov 2015 - 4 Nov 2015, Youth Subculture and Empowerment. Invited plenary speech at the National Conference on At Risk Youths, Singapore. 24 Jun 2015 - 26 Jun 2015, Triads’ Involvement in Occupy Central: Democracy, United Front, or Extra-legal Services? Invited plenary speaker at 7th Asian Conference of Criminology, Hong Kong. 19 May 2015 - 21 May 2015, Transnational Organised Crime in Asia. Invited plenary speaker at The Dark Underside of Globalization: Transnational Crime and Security in the 21st Century, USA. 2 May 2013 - 4 May 2013, Triads, Casinos and Juvenile Delinquency in Macau. Plenary Speaker & Chair, International Conference on Asian Organized Crime, Hong Kong. 20 Nov 2012 - 21 Nov 2012, Workplace Violence in Hong Kong: Prevention and Management. Invited speech at the Conference on Prevention of Workplace Violence, Hong Kong. 18 Oct 2012 - 20 Oct 2012, Fighting Corruption in Hong Kong: Strategies and Challenges. Invited keynote speech at the International Conference on Transparency and the Fight Against Corruption, Universidad Del Rosario, Columbia. 11 Sep 2011 - 16 Sep 2011, Reintegration of Young Offenders into the Community: Research Experience in Singapore, Hong Kong and Macau. Invited plenary speaker at the 13th International Corrections & Prisons Association Conf., Singapore. 10 Aug 2011 - 12 Aug 2011, The Development of Restorative Practices in Hong Kong. Invited plenary speaker at the First Singapore Restorative Conference: A Transformational Approach to Restore Lives, Singapore. 21 Apr 2011 - 23 Apr 2011, Traditional Crime in the Modern World: How Triad Societies Respond to Socioeconomic Change. Invited paper presented at the Conference on Traditional Crime in the Modern World, University of Utrecht, The Netherlands. 6 Oct 2010, Transnational Organized Crime: Current and Expected Development in China. Invited plenary speech to UN delegates at Transnational Organized Crime and the Palermo Convention, New York. 3 Jul 2010 - 17 Jul 2010, Concepts of Youth Development. Invited plenary speech at the Cross Strait Youth Summit, Taiwan & Hong Kong. Research on Rehabilitation Programme provided by Drug Addiction Treatment Centre, Hong Kong .